How does the IRS determine how much of your tax debts you can afford to repay? Should they insist on full repayment? Settle for less than what you owe them? Leave you alone for a year or two while you overcome a financial hardship like the death of a spouse, loss of employment, serious illness, divorce, etc? Last week’s article linked here: https://activerain.com/blogsview/5326733/norwalk–ct–resolve-irs-debt-with-an-installment-payment-agreement spoke about Installment Payment Agreements where you can (in most cases) pay back your tax debts in full within the statutory time period allowed to the IRS through monthly payments. 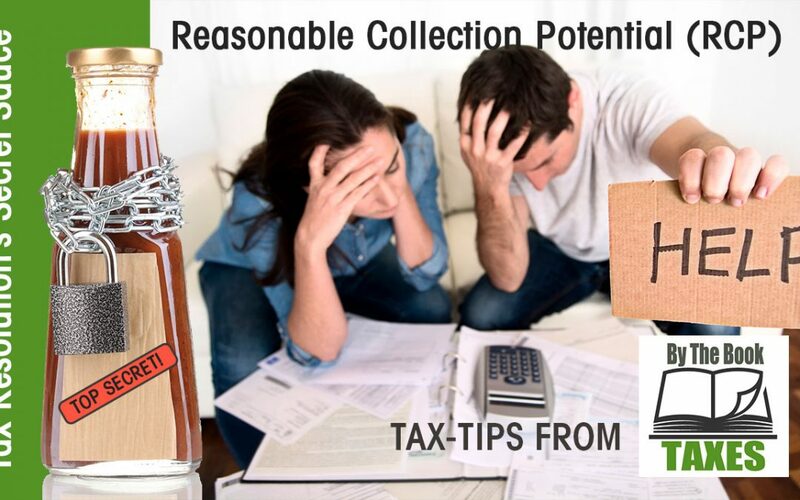 Currently Not Collectible (CNC) status is granted when the IRS determines that it would create a financial hardship to collect taxes owed from a taxpayer who at the time doesn’t have the income or asset level to support repayment. An Offer in Compromise is easily the most misunderstood of the tax resolution options available to taxpayers. It is also the subject of those crazy TV commercials claiming to settle taxpayer’s debts for pennies on the dollars. With an Offer in Compromise, the IRS may accept a settlement that is less than the full amount owed. The questions remain; how do they calculate this? How much should I offer? Would I be considered “uncollectible” given my current financial situation? What assets do you have that can be used, sold or withdrawn to pay your tax debts? Cash, real estate, antiques, vehicles, cash value life insurance, retirement accounts and investment accounts are all scrutinized. Take the quick sale value (80% of fair market value) of the non-cash assets and subtract from that any loans or mortgages against them. You are allowed to keep a vehicle and tools you own since they may be required to generate income. What you are left with is Net Equity in Assets. After subtracting your monthly living expenses from your monthly gross income, how much is left over to pay the IRS? There are some important things to know here. It’s not just based upon your employment income, but rather all sources of income. This is a cash flow analysis, first and foremost. Another thing to know is that not all expenses are created equal. The IRS uses cost of living standards that are developed by the Department of Labor. For the purposes of this analysis, depending on which expense category is involved, the IRS may accept your actual expense for health insurance, the national standard for public transportation or the local standard for automobile operating expense. Take your monthly gross income from all sources and subtract your allowable living expenses based upon the standards the IRS uses. Multiply that number by twelve (12) and that’s your future income for the next year. Add Net Equity in Assets to Future Income and that’s your offer. If this calculation exceeds your taxes owed, your offer will be rejected. If you have few assets of value to sell and your allowable expenses equal or exceed your gross income, you are a good candidate for Currently Not Collectible. If you have a tax problem that needs resolution or have years of unfiled tax returns, please call me at 203-434-5626 or email me at mikeo24@bythebooktaxes.net, I can help.